In the January 2018 issue of CQ’s Interface magazine, authors Nakahara Hiaki and Masuro Suzuki present a deep dive into Python programming in a special feature titled “Research on Real-Time Python”. 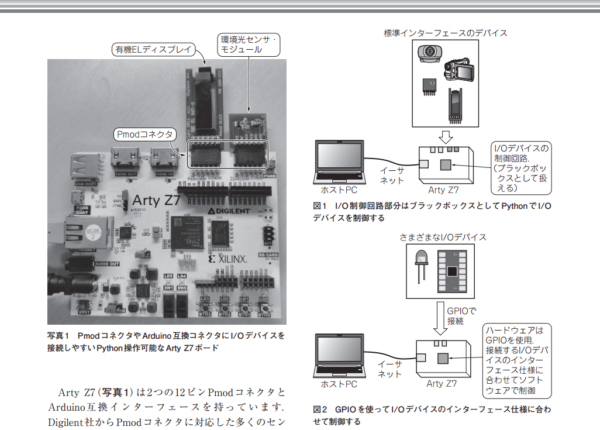 This feature is the first print publication to present the Arty Z7 Zynq-7000 Development Board as a Python programming platform with numerous supporting projects to get you running in no time. Using the Python environment developed for the PYNQ-Z1 Development Board (PYNQ = Python + Zynq), the authors review setting up the Arty Z7 (from configuration to real time image recognition) before introducing multiple I/O projects using a variety of Digilent Pmods. Continue reading to learn more about the projects covered and additional resources for your Python based applications. The featured article in Interface magazine spans pages 40-68 and is divided into four chapters covering real-time Python applications. In Chapter 1, the authors begin with a brief introduction to Python and the benefits of programming in an integrated development environment. They then transition into Chapter 2 with our first look at the Arty Z7 as a Python programming platform. 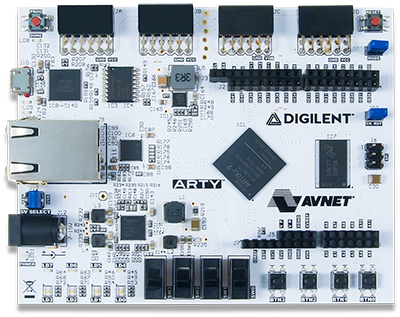 Introduced as a “$200 FPGA control board that can also be used from Python” the Arty Z7 is chosen due to its ability for use with a previously developed Python environment for the PYNQ-Z1 hardware. 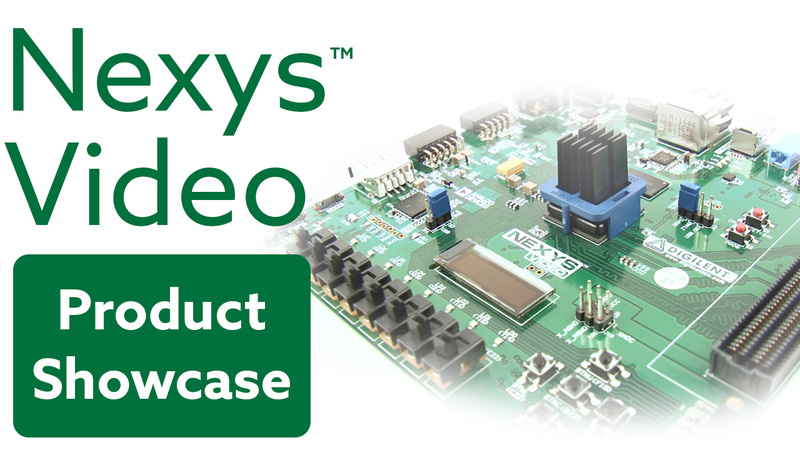 While the Arty Z7 does not include the electret microphone with PDM output present on the PYNQ-Z1, both boards are built around the Xilinx ZYNQ XC7Z020-1CLG400C APSoC, making the Arty Z7 an ideal drop-in substitution and Python development solution. The second chapter is concluded with Suzuki walking readers through the two step PYNQ environment installation process and a real time image recognition application using the HDMI input/output and a USB camera. New expectations of hardware familiarity segue into the beginning of Chapter 3 where Suzuki introduces a variety of I/O control projects featuring select Digilent Pmods and an Arduino. The first two projects lead users through simple modifications, using the Pmod OLED and Pmod ALS (both with available source code on the PYNQ.io website) to get users comfortable with the PYNQ environment. This chapter ends with three more projects teaching users how to control the MIDI interface, use SPI devices with GPIO, and controlling an LED with GPIO. 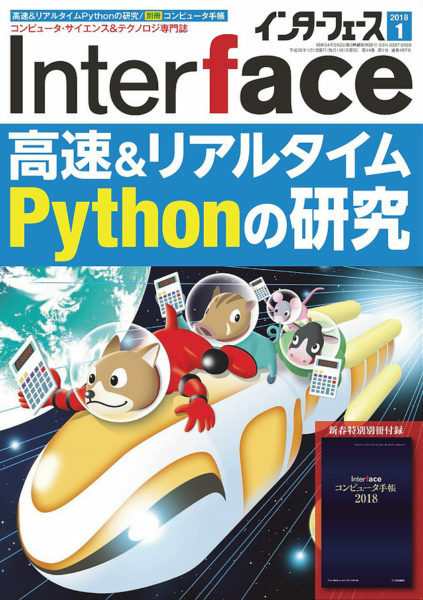 Read more about the Arty Z7 as a useful Python development platform in the January 2018 issue of Interface magazine (Note: written in Japanese), or attempt each project on your own by visiting the open-source PYNQ.io website. You can also visit the Arty Z7 Wiki for additional documentation, tutorials, projects, and more to support your development needs. Let us know your favorite use for the Arty Z7 in the comments below or share your story on social media by tagging us @Digilentinc.